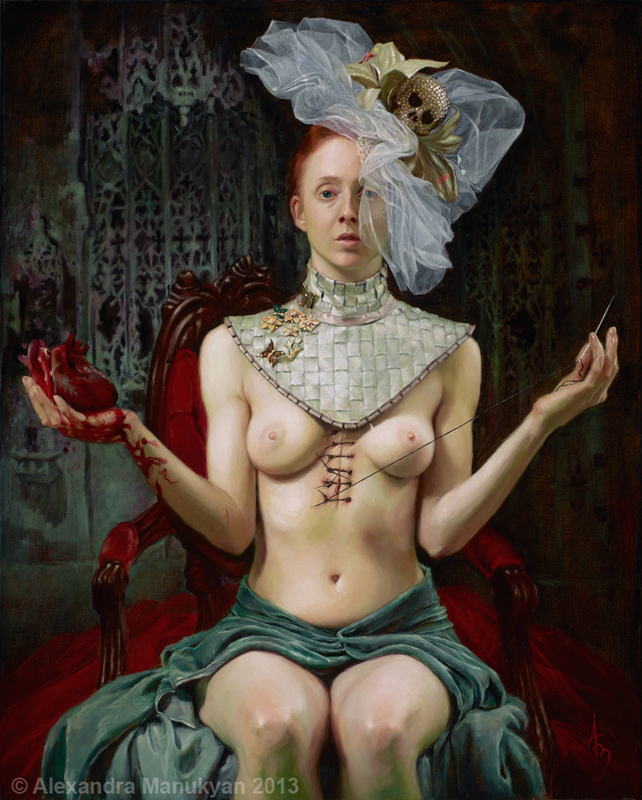 Ep 79 - Alexandra Manukyan : Craft and Heart - John Dalton - gently does it . . . I had a brilliant chat with Alexandra Manukyan in California. 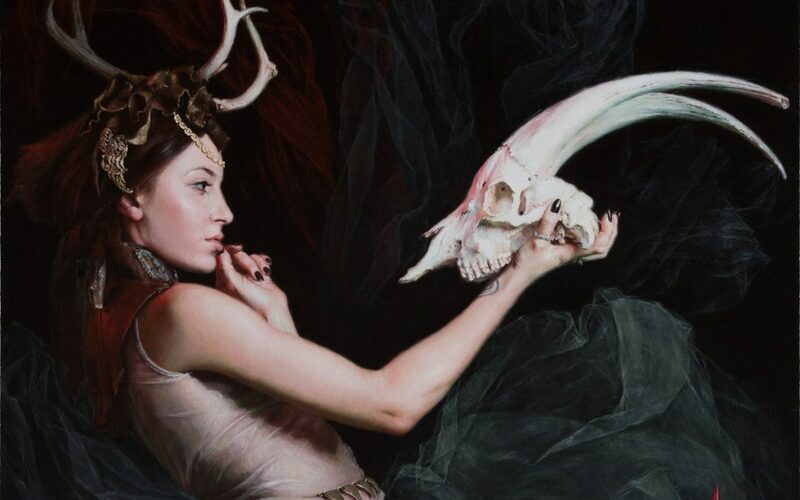 Originally from Armenia, Alexandra paints surreal figurative paintings that are technically brilliant, full of symbolism and depth. She has had numerous solo and group exhibitions both in America and overseas, and her paintings are collected all around the world. We talk about the Eurovision song contest, cargo pants, dancing, LA traffic, and of course art, lots of art and painting . . . Most moving paintings to make . . .
Alexandra cited all the paintings she made between 2007 – 2015 as her most moving paintings. This painting is a good example. Referenced in the podcast . . . Wonderful podcast! Really enjoyed it! Thanks Alison, I’m glad you enjoyed it. Thank you so much John and Alexandra! I really loved this podcast! ? You’re welcome Laura, I’m glad you enjoyed it. Dear John, thank you very much for all the amazing work you do on these podcasts. Thanks again for the invitation to your podcast. You turned it into a very pleasant experience for me. You’re very welcome Alexandra. It was a pleasure and an inspiration chatting with you. Thank you very much dear Laura!? Wonderful interview. Loved her explanation on galleries!! Absolutely truth. Keep up the great work John, fantastic folks and interviews. Thanks Brian, I’m glad you’re enjoying them.